Showing all news posted in November 2012. 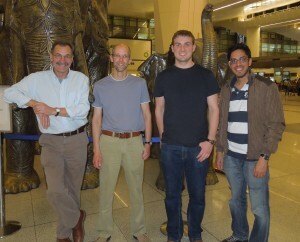 Iain Murphy and Ollie Currie at Delhi airport on their way back from a seven-day trip to India, which was sponsored and organised by Mr Dave Ladhar of the Ladhar Group. They are pictured with Ian Walker of Walter Thompson Construction Limited and Michael Ladhar from the Ladhar Group. Of particular importance was a visit to The Golden Temple in Amritsar, the stunning and most well-known Gurdwara in India. As an Architect, I’ve been designing Care Homes for a long time, now, and I’m still learning! It seems obvious, but it’s really important to remember that the end product is going to be someone’s actual ‘home’. Most of our Care Homes have to be adaptable to cope with all kinds of care needs but, increasingly, the needs of dementia sufferers have to be considered. From a design point of view, this means that careful attention must be paid to the materials and finishes used in Care Homes. Since 2003, when Stirling University launched their Dementia Studies for Professionals working in the field of old age and dementia, the University has been one of the leading authorities on dementia and how to care for people suffering from it. They give guidance on how to provide a suitable environment for people with dementia, rating the suitability level as bronze, silver or gold. I attended one of their open courses in 2005, and another one more recently with Katherine and, while some theories remain just that, many more are being put into practice by more and more Care Providers, and certainly by those that we work with. David Kershaw left the Practice at the beginning of October after a ten year association. 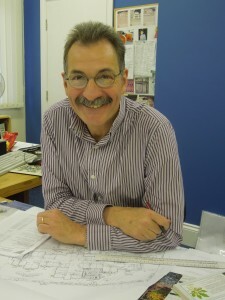 Julian Thompson has now joined us and comes with an interesting and varied background in different areas of design. 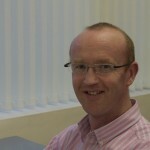 He’ll be a valuable asset to the Practice and we look forward to a working with him.